Not all those who wander are lost- unless you’re in Morocco. Then you’re probably lost. Those who say that “not all those who wander are lost,” have apparently never been to Chefchaouen, where anyone who wanders finds themselves very, very, lost. The Medinas of Moroccan cities were originally built to confuse the enemy, and coincidentally they also confuse anyone who is not from there. Luckily, the 45 minutes we spent trying to find our hostel provided a great impromptu tour through the amazing “Blue Pearl” of Morocco. Chefchaouen is famous for it’s blue hues, but it’s pretty amazing to see it transform into a purple glow once the sun goes down. A staple of Moroccan cities are rooftop restaurants. After a long day of traveling and hiking a nearby mountain, we settled in at Aladin Restaurant which proved to be a pretty big hike itself trying to get to the rooftop terrace. It had great tajine, and even better views. Chefchaouen proved to be one of the most beautiful cities I have ever been in. The locals are very proud of their city, which can be seen throughout the city, in their food, and on their faces. 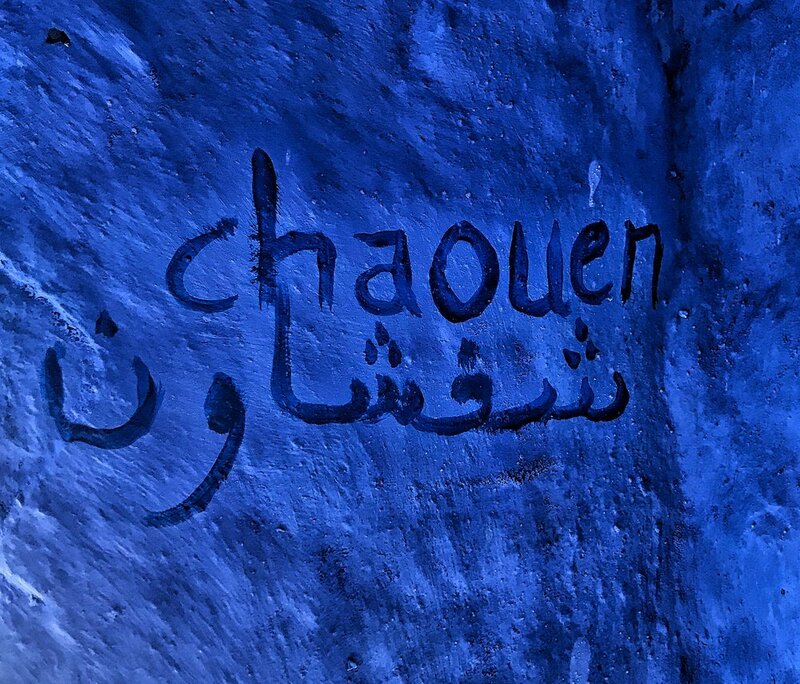 Been to Chefchaouen? Comment with your favorite memories!